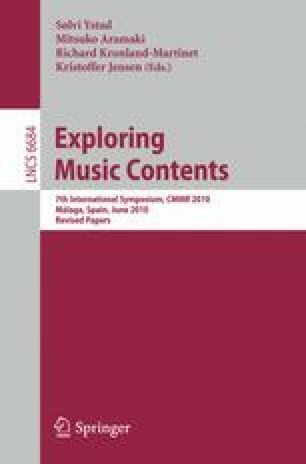 In this paper models and algorithms are presented for transcription of pitch and timings in polyphonic music extracts. The data are decomposed framewise into the frequency domain, where a Poisson point process model is used to write a polyphonic pitch likelihood function. From here Bayesian priors are incorporated both over time (to link successive frames) and also within frames (to model the number of notes present, their pitches, the number of harmonics for each note, and inharmonicity parameters for each note). Inference in the model is carried out via Bayesian filtering using a powerful Sequential Markov chain Monte Carlo (MCMC) algorithm that is an MCMC extension of particle filtering. Initial results with guitar music, both laboratory test data and commercial extracts, show promising levels of performance.